Click on the gear icon at top right, and select Settings from the menu. Click on the Forwarding and POP/IMAP link along the top of the settings area. Click the “Add a forwarding address” button. Enter an email address in the box where prompted, and click the Next button. Click the Proceed when prompted. Click the OK button on the confirmation window. Click the circle next to “Forward a copy of incoming mail to” and select what you’d like to do with OWU BishopApps Mail’s copy. After a few minutes, it is a good idea to test it. Send a message to your own OWU e-mail address then check the account to which you have forwarded it to be sure it was received. Click the circle next to Disable forwarding. Click the Save Changes button a the bottom. After a few minutes, it is a good idea to test it. 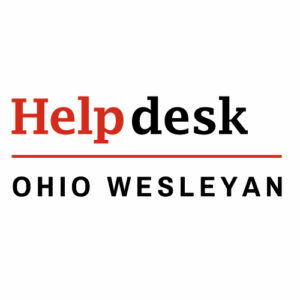 Send a message to your own OWU e-mail address then check to to be sure it was received.